Forbes was not joking when they presented the statistics on how many people are making purchases on their mobile phones nowadays. According to a recent article, over 17 percent of sales made over the Black Friday and Cyber Monday weekend are made using mobile devices. Certainly this must mean we will soon be able to chuck our wallets and simply acquire all our day to day needs using our mobile phones? Not so fast. Think for a moment: how you would go about buying everything using your smartphone alone? Aside from your favorite coffee retailer, how many restaurants and grocery stores actually allow you to make purchases by using your smartphone? The answer is: hardly any. It appears that wallets and paper money still have their practical uses for everyday survival. From the view of retailers, especially those running brick and mortar stores, the current payment systems are working fabulously for them. Why then, would they want to completely implement a new addition to their system that they see no advantage in? Even for their loyal customers, the action of tapping a credit card and tapping with a smartphone doesn’t make a whole lot of difference. The idea of carrying an extra credit or debit card isn’t not exactly a pain point when it comes to consumer shopping experiences. The risks with using a credit card compared to that of using an added function like Apple Pay or Google Wallet are similar—both are protected from fraud. However, the issue comes in from the standpoint of the customer. The idea of having to move to a new system is simply too much of a hassle. Furthermore, storing credit card information on smartphones may not be what customers are most comfortable with at this day and time. 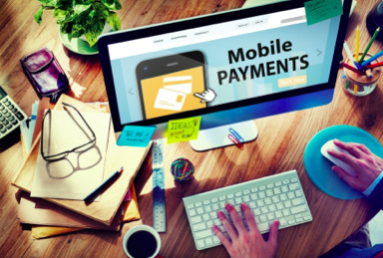 Making payments using smartphones is only one of the many ways that businesses can receive money from their customers. Often times, there is no lower pricing for businesses to run customer information and process payments through a particular system. This leaves them questioning what value adopting such technology early on will bring them. But if you’re an eCommerce business owner though, you’re in luck. Because all the payments have to be made online, the idea of not having to enter credit card information over and over is appealing to the customer. There are great services that exist with functions that support and encourage customers to pay on their smartphones like Shopify. User friendly interfaces and saved customer information actually makes the whole checkout process much faster than it would be otherwise. The action of tapping is now a widely acceptable way to make payments. Next time you’re waiting in line for your favorite branded coffee, chances are there already is an application available for you to pay by smartphone and cut the line. This of course, does show the appeal of paying by smartphone but certainly doesn’t encompass the majority of any single business’s customer base. This is why the mobile credit card processing system has yet to replace the wallet entirely. Looking at the bigger picture, the use of mobile devices has helped enable populations in developing countries to receive payments directly from their beneficiaries rather than go through a multiple levels in a charitable organization. This shows technology is becoming more affordable and more and more widely used. For us, this means there will come a time we when we wouldn’t even have to pull out our phones for the terminal to sense we would like to make a payment—that seems almost like a science fiction show, to say the least. Still, that doesn’t change the fact that the technology to use tiny transmitters already exists. It’s only a matter of time before the general population gets comfortable with using it on a broader scale. Hold your wallets tight for now, but you never know what the future holds.